Ancrum Junior Football Club are on the hunt for new recruits to join them at training ahead of the 2015/16 season. 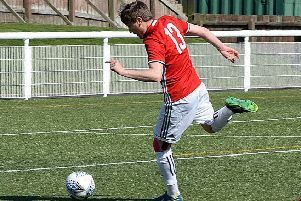 “Our youth team (2002-3) had a good initial season, but have been affected in numbers for the season ahead due to a variety of reasons,” said club chairman John Parker. “We urgently seek 5-6 recruits to join our 14s squad, although players of all ages are more than welcome.” Training takes place at Bridgend Park, Ancrum on Wednesdays from 6.30-8pm with SBJFL Matchdays on Sundays. Anyone interested should email jjmparker@btinternet.com or call 07826 256614.